Sorry for the lack of updates recently. I’ve been feeling under the weather the past couple days and was trying to recover. 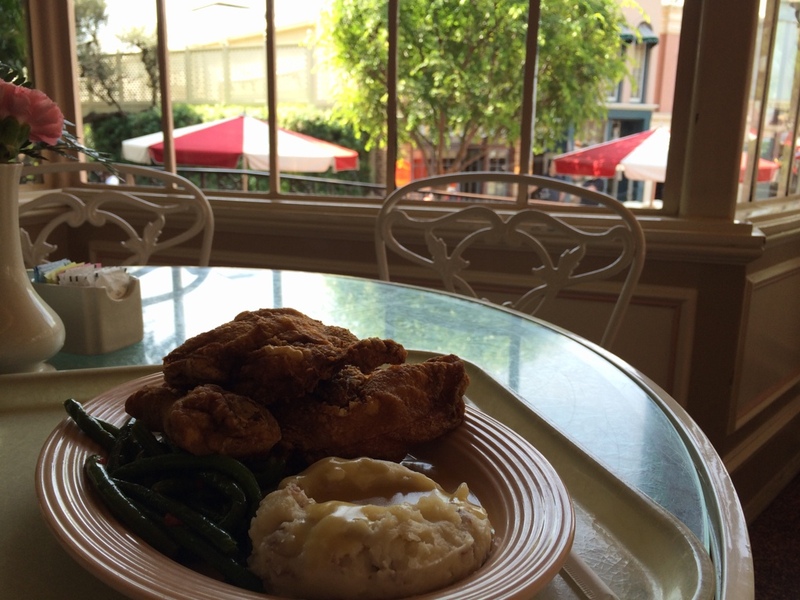 Now, as I sit on the train on the way to work, my grumbling stomach told me to write about the knock-your-socks-off-good fried chicken that you can get inside Disneyland at the Plaza Inn on Main Street. Take a look! I’ve passed by this place many times, but have never stopped by to eat here. 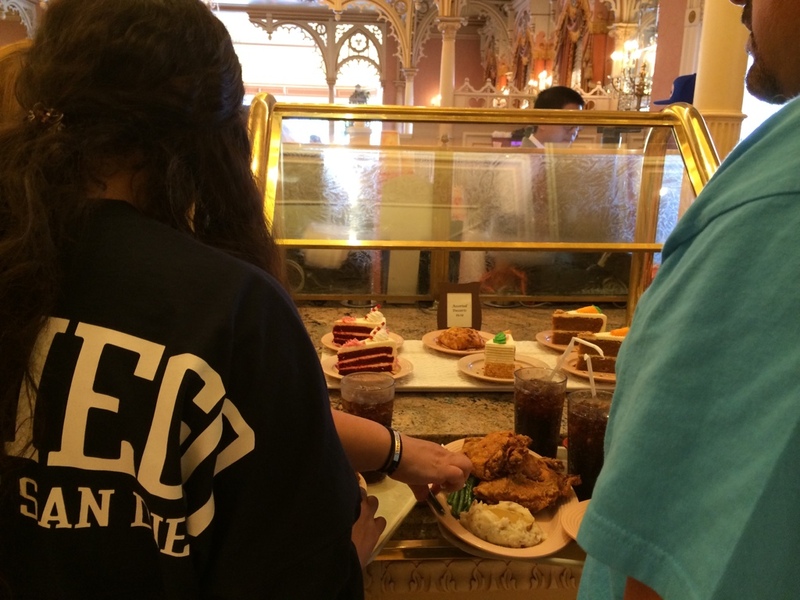 How good can fried chicken at a theme park really be, right? 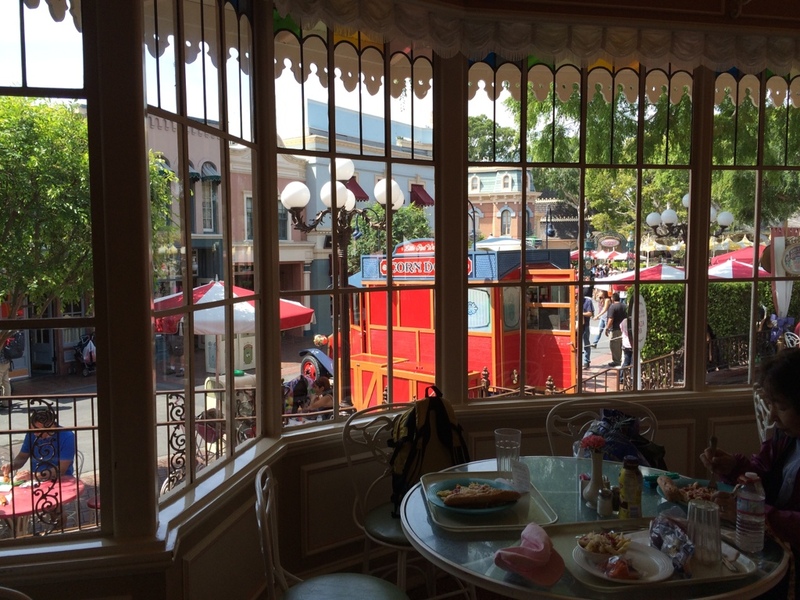 Why not just eat at my usual favorites like Carnation Cafe, Cafe Orleans, or get a corn dog from the Little Red Wagon? Well, let me say that I was totally mistaken. 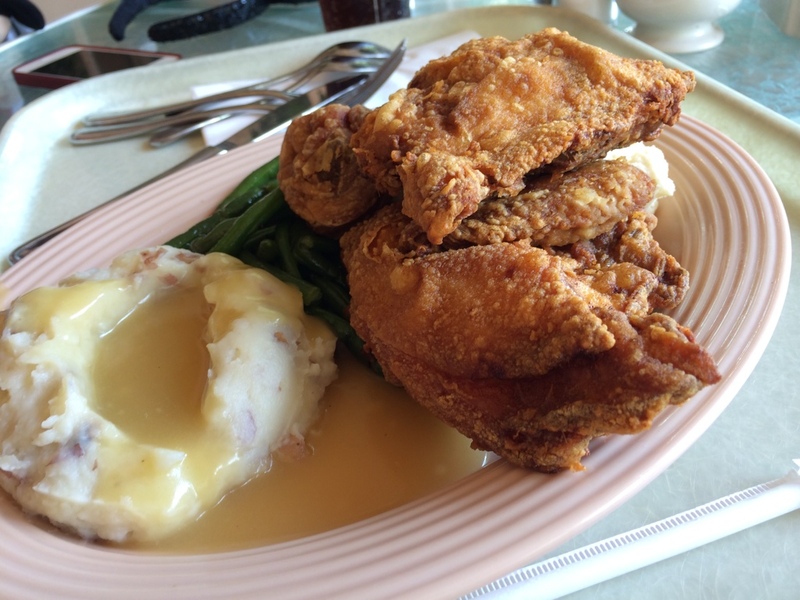 If you like fried chicken, this is an absolute must try! 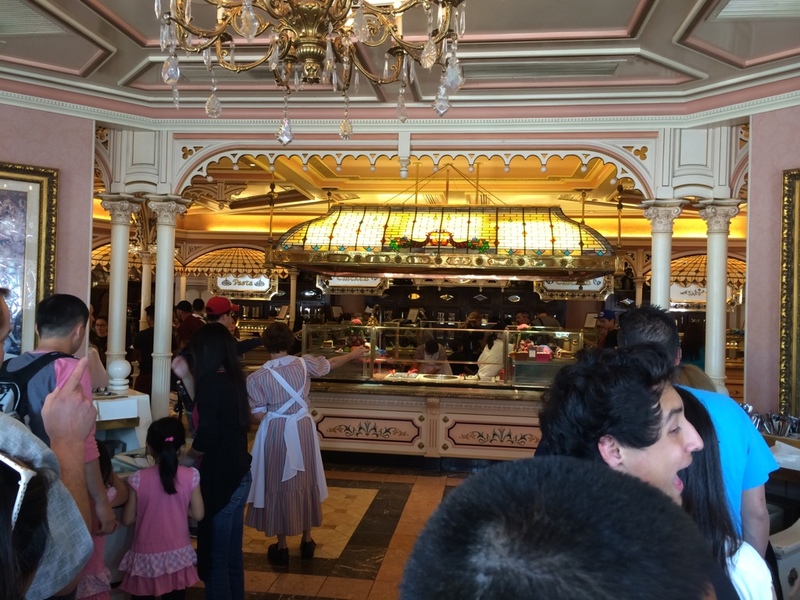 Remember to come for lunch or dinner, as breakfast is a character breakfast buffet. 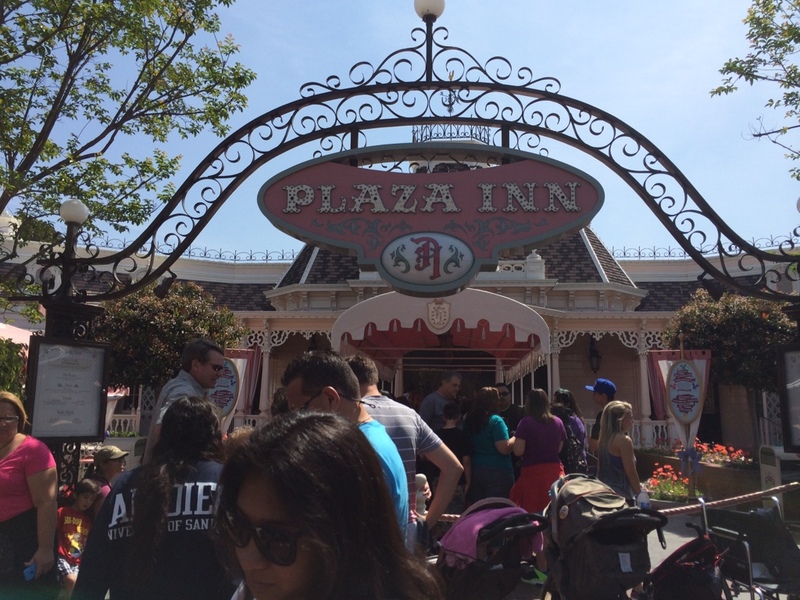 You’ll see a line out the door about half an hour before the Plaza Inn opens at noon. 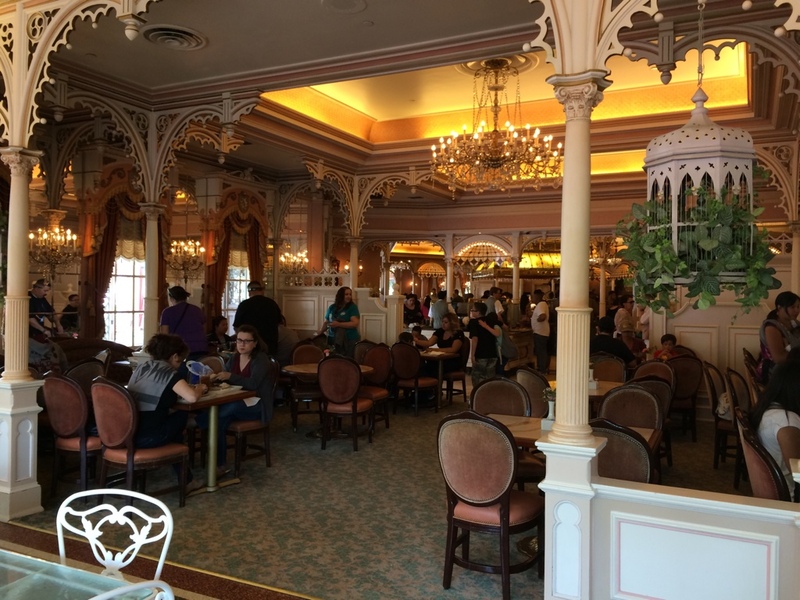 Once inside this quick service place, the line splits into two and you’ll be directed by a cast member to either the left or right. Both lines have fried chicken, so don’t worry. Grab a tray with some utensils and go! 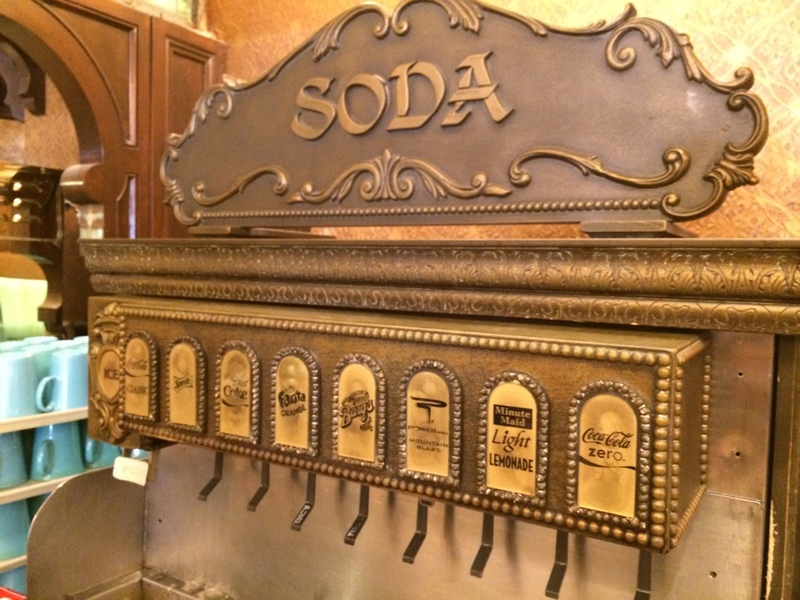 There is also a swanky looking self-serve soda fountain where you can grab your own drink before heading to the cash register. 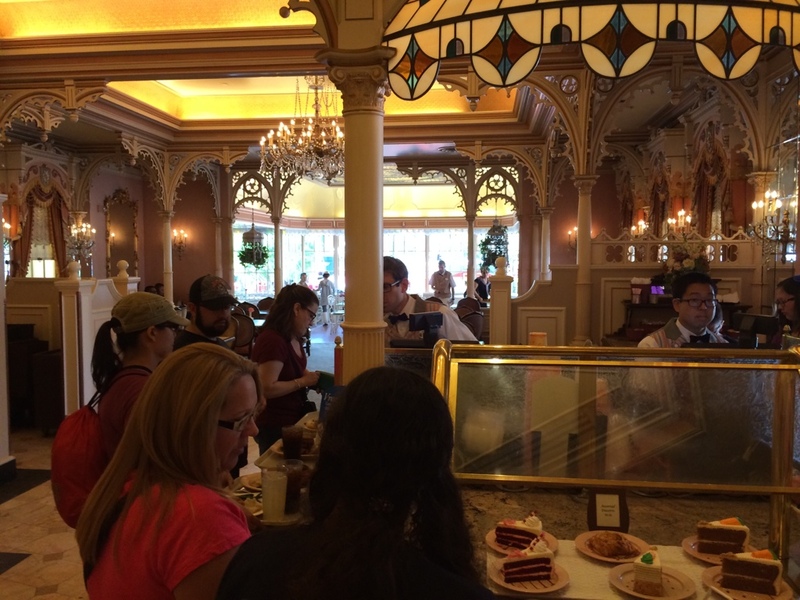 If you forgot dessert, there’s a handy dessert area right at the register too, for those important last minute decisions haha. The register is in sight! I was super excited to pay and get to the “meat” of this review, literally. The indoor seating area was nice and spacious, with a choice of more shaded seating closer to the inside, or window seating with views to the outside tables and Main Street. I picked a nice spot to eat near the window and got ready. The meal comes with a side of green beans, mashed potatoes with brown gravy, and a biscuit. The sides were enjoyable, although standard fare. Either that or severely overshadowed by the greatness that was the chicken lol. I don’t have any pictures after I started eating because it was so amazing and my hands were a mess, so I’ll do my best to describe it. *I’ll try to take more photos and add them to this review on my next visit. 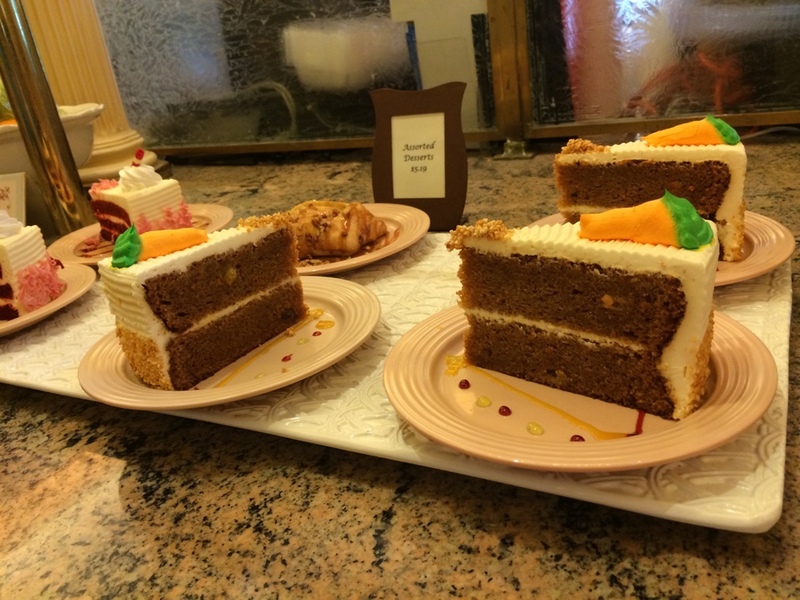 This has now become one of my favorite meals to eat at Disneyland. I now understand all the raving reviews I’ve read. Make this one of your meal stops on your next trip. Seriously! My mind was blown. You have good taste in food, my friend.